There are several angles with personal growth. Some people seek improvement in their careers and professional goals while others seek clarity and direction with their personal life and relationships. Everyone benefits from developing their own inner voice of wisdom, or “Intuition”. Typically, my coaching involves a blend of all three, but is customized for each individual. Are you afraid to confront a toxic person about his or her behaviors? Become a Super Communicator and Boundary Setter TODAY! If you’re serious about enhancing your life journey, then there is a book for you here! Each book is jam-packed with timeless life lessons that will motivate, inspire and transform your world. Enjoy these hard book selections in e-book format, and save a tree! Read on any device, the choice is yours. Enjoy these hard book selections as an audio book, as read by the author. Experience the tone and voice inflections of the author as she intended the book to be read and received. Go ahead….treat yourself! 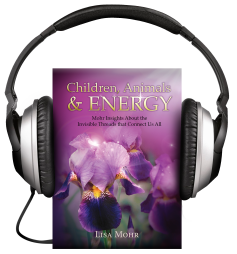 It’s time to relax and unwind Lisa Mohr’s customized meditations and sound tracks. Each meditation is designed to target a specific area of your life to optimize. Explore Cord Cutting to separate from the toxic individuals in your life. Enjoy Adore Your Inner Goddess to amplify your self worth. 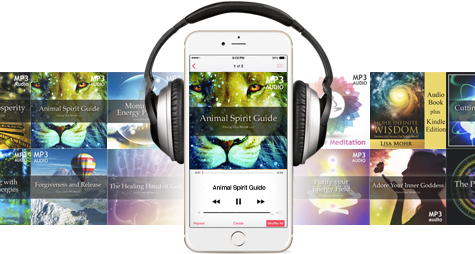 And Meet Your Animal Spirit Guide to connect with a different kind of angel in your life. Each meditation promises to leave you feeling relaxed, inspired and renewed.